RalphFromSnap how was this fixed exactly? old provisioning profiles vs newer ones? i'd hate to see what people are going to post in a few years time once we start getting congestion on the UFB network. sorceror: i'd hate to see what people are going to post in a few years time once we start getting congestion on the UFB network. Not related, this issue has nothing to do with network congestion. no does doesnt but its possible it will happen in the future. I would be willing to guess it was an issue between bitstream 2 vs 2a profiles on Chorus. The bs2a 100/20 has a layer 2 speed of 110/22 so that all things being equal you "should" get a layer 3 speed of just a smidgen over 100/20. However there are lots of different aspects that cancan impact overall speeds. The most likely of that is end computer speed and ensuring you are over a wired connection. The other thing that can impact speed is the profile you are set to by your isp. If they are not in sync between lfc and isp you can get a fair amount of packet loss on the access network. BarTender: I would be willing to guess it was an issue between bitstream 2 vs 2a profiles on Chorus. The bs2a 100/20 has a layer 2 speed of 117/22 so that all things being equal you "should" get a layer 3 speed of just a smidgen over 100/20. In the table 110 Mbps down is stated. Overheads to get to Speedtest numbers from Layer 2 rates usually result in the ratio around 100/93. The new Accelerate plans are intended to allow the ISPs to deliver 100 Mbps as perceived by the users (even if they are getting more at Layer 2). Is the 117 wrong or are there further updates to these plans? dwl: Is the 117 wrong or are there further updates to these plans? Yes... I'm wrong.. been staring at the screen too long. As per the Chorus BS2A table on page from the I'm wrong link. 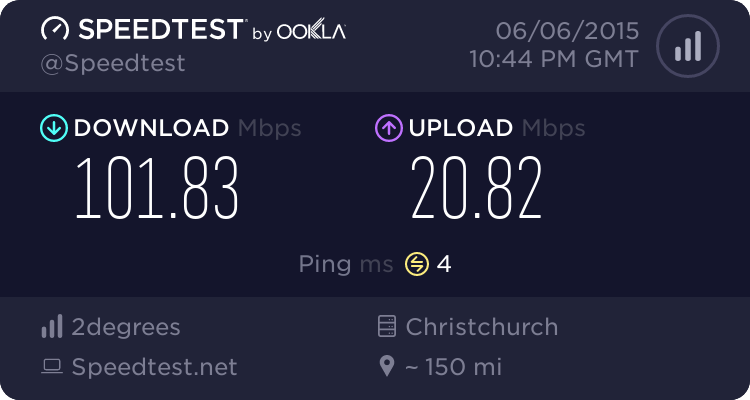 I am having a similar problem with gigabit internet in Dunedin. 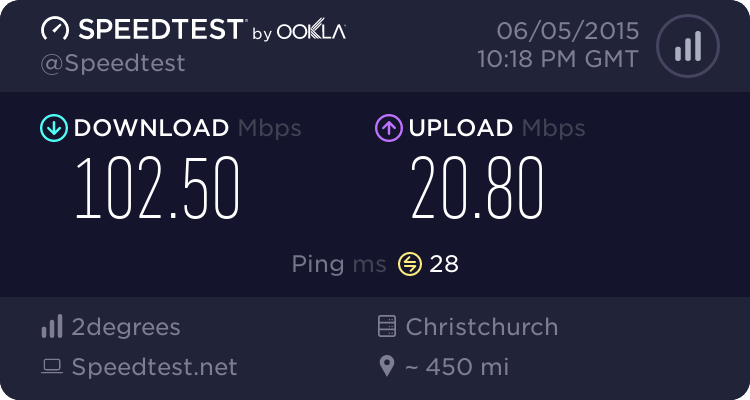 I have a snap gigatown connection. Because it completely maxs out the CPU in the 7340. Yes, pay for the upgrade. 1) What are you doing that 630 Mbps is constraining? 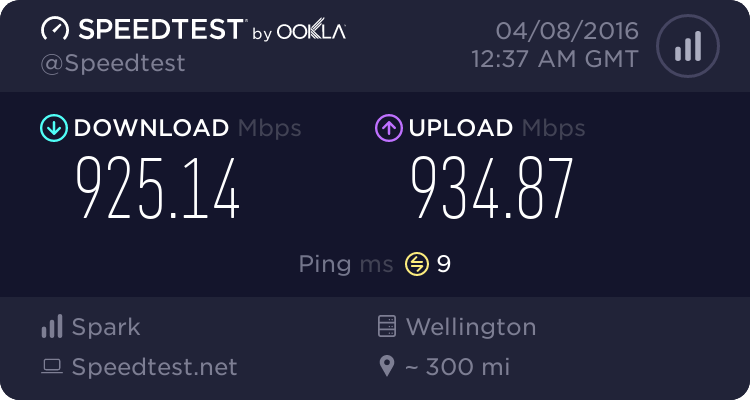 2) Does a gigatown connection cost more per month than a non-gigatown connection? 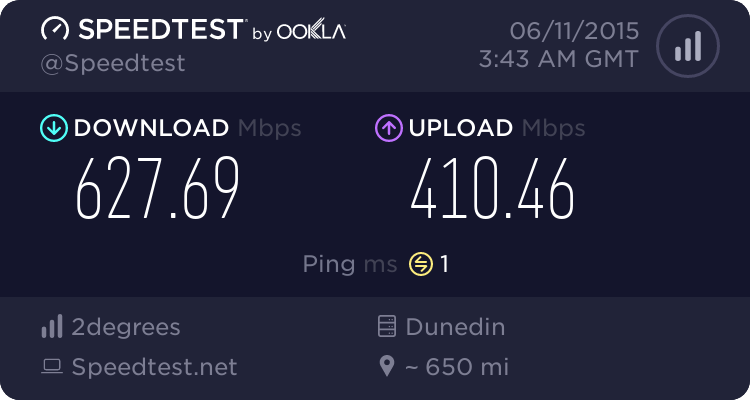 For those lucky enough to live in Dunedin, Gigatown connections are actually cheaper than what we have to pay. Lightwave 200 Ultra Unlimited (200/200) is $179 per month. Gigatown is only $99.